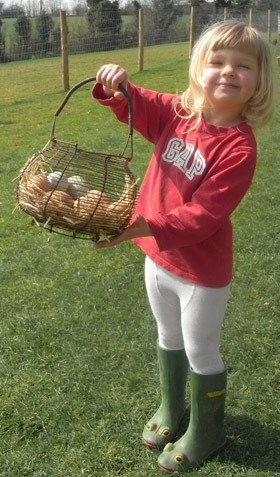 Hi I have had my 5 chickens for 4 weeks they were 2o weeks p.o.l. they have layers pellets and they never stop eating then 3 days ago they have hardly eaten anything, which for the speckeldy is strange, so to day i gave them some layers mash mixed with water and they scoffed it up,I dont want them to have mash so have took it away now,any idea why, they seem fine orther wise. Hi my mother-in-law feeds her hens every day, bread and grated cheese, lettuce, other veg, as well as mash and corn but they don’t really eat much of the mash and corn. I’ve told her this isn’t right, am i right? 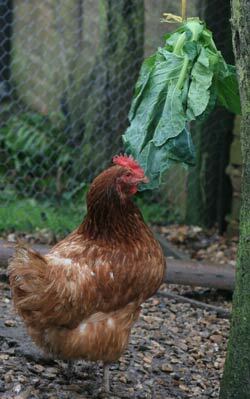 we feed our hens mash and twice aweek some greens. Yes, many of the older generation (I mean no disrespect) will do this because that’s how it used to be in days gone by. It’s actually illegal now to feed anything that has come out of your kitchen according to DEFRA. You can of course feed allotment scraps or garden scraps but not kitchen scraps… even from a vegetarian kitchen! I’d never be disrespectful to your Mother-in-Law but I’d say you were doing the right thing with your feeding. It is false economy to scrimp on layers feed to have poor egg production. 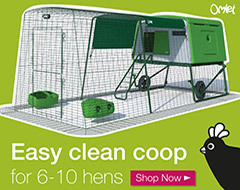 Hi I heard (from a vet) that feeding leafy greens could harm your chickens because it always blocked their crope, this happened several time to my one hen who i have recently had to have her put down because of it. Also i bought two gold silkies their currently 14 1/2 weeks old /15 weeks this thursday, In a few days i am about to run out of grower pellets (supplier refusing to get more), will it be ok to slowly swap them now onto layer pellets. If they are eating woody stems of grass / greens then yes, the crop can get impacted. Keep grass cut short so that the fresh growth is sweet and nutritious. They should only be switched to layers pellets when they are finished growing and about to lay. 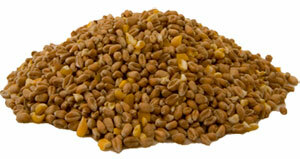 Layers pellets has too much calcium in it and not enough protein for growing birds. It could be a number of things I’m afraid. 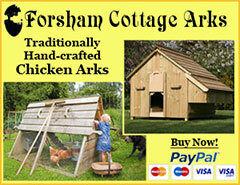 There is an article here on Diarrhoea in Chickens that might help. they hardly touch their pellets. Normally they would eat all the food I give them! They are Marans, a Cuckoo and a Belle one. When they get hungry, they should eat them. I am surprised they can tell, most don’t seem to know. Make sure you remove all other treats / food so they have only the medicated feed to eat. A wee help. Hens will not eat fir needles. Most firs produce phenols which are toxic(the smell in pine and cedar) Rowan berries should be fine, most birds can break down the cyanide in these berries. Again the bird knows best. As for Ivy, should you want rid then spray with glyphosate. 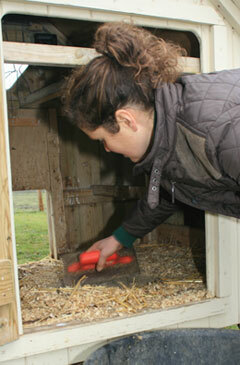 Well before the hens appear as this weedkiller can cause problems with ovulation if ingested by poultry. If on the ground it can create a significant tripping hazard for hens, but that said it is also a great place for insects to thrive which the hens love to chase, so best maintained to edging. 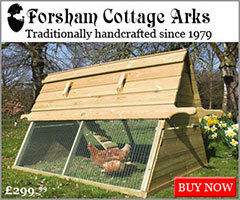 If like me you have a large area for your hens. 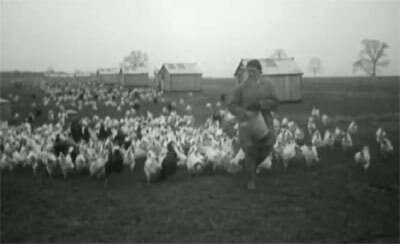 (In my case 12 hens, 14 muscovy ducks in 1.2 acres) As they grow do not feed them every day, maybe miss a day or two per week as this will encourage them to forage. Best time NOT to feed is after rain. When cutting grass do not remove the clippings as this allows the bugs to move in and the hens love scratching it up and it helps keep moisture close to the ground for insects to live. It is also good for soil more so if you can move the hens to another area after a couple of years, turn it over and use as a vegetable patch…. 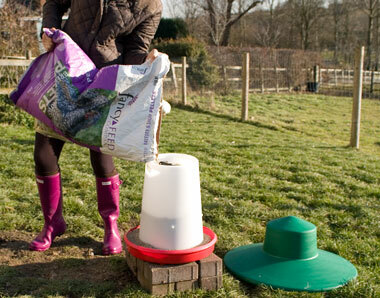 Do not forget hen droppings are one of the best fertilisers, compost and use elsewhere…. See my comments to your other question about turf. I would guess they are being fussy because they are full up and have too many treats 😉 Hungry chickens will love such treats. Sorry, I have very little grass, not enough to brag about, your thoughts on the B&Q turf would be so much appreciated. I would leave this alone – it probably has chemicals on it. It won’t last long either. Better is to provide a deep bed of hardwood chippings for them to scratch through and then feed lots of greens – weeds will do but you can hang greens / cabbages etc and sweetcorn for a treat in the run. Hang them a little too high for them to reach and then they will get exercise jumping up. You need to change their diet to Growers Pellets now and then on to layers at POL around 18-20 weeks of age when they are fully grown. Hi, can one mix chicken breeds or is it safer to stick to just one? thanks. If they are similar in size and have enough space, you can usually get away with it but it will depend a little on their temperament.